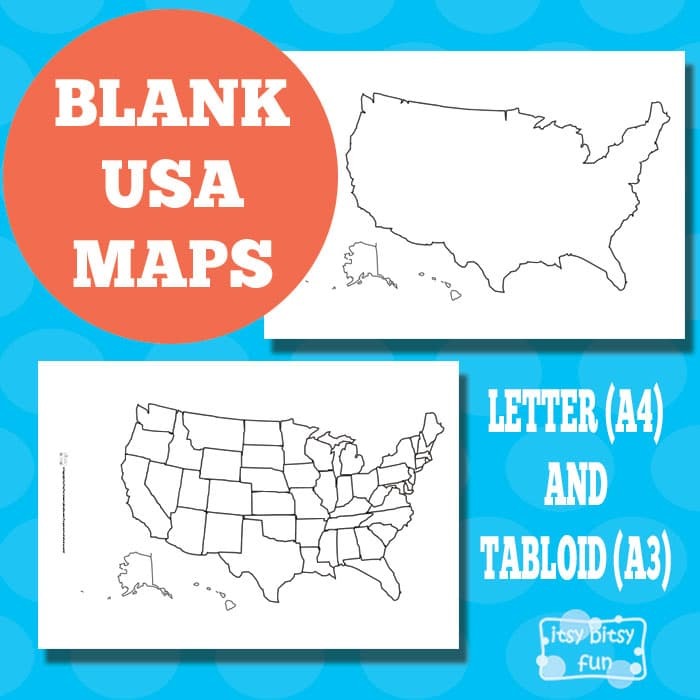 There are so many fun ways you can utilize these free printable Blank USA Maps and teach your kids about geography! You can use them as coloring pages for the young kids, as worksheets to learn about states and capitals or as stencils to make various crafts and projects (I’ve seen quite a few awesome paper strip collages and I think this map would make a nice one). 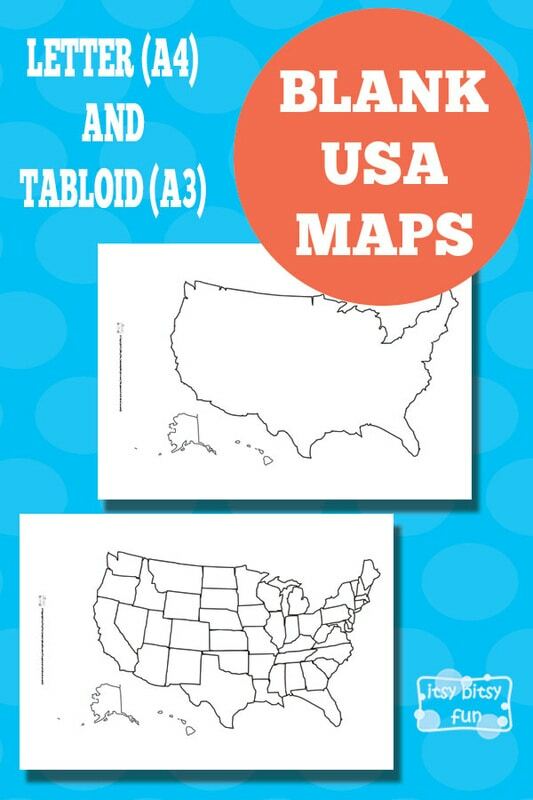 I have made 2 different blank USA maps – one with state lines and one without and I made both in two sizes (in letter and tabloid). If you will use these as worksheets to work on geography I suggest you laminate them so your kids can use them over and over again (and once they know everything there it to know you can pass these to another kid – you know keeping it green).